JACKSONVILLE, FL — Michael A. Shorstein and Brian T. Kelly of Shorstein & Kelly, Adoption Attorneys at Law, P.A., are two of the first attorneys in the state of Florida to become Board Certified in adoption law by the Florida Bar. PRLog (Press Release) – Only seven percent of eligible Florida Bar members––about 4,400 lawyers––are board certified. There are only 17 board certified adoption attorneys in the state, three that practice in Duval County, including Shorstein and Kelly. Adoption law board certification, one of the newest certification areas for Florida and the first of its kind in the nation, provides a necessary and important protection for consumers by distinguishing attorneys who have special knowledge, skills and proficiency in adoption law along with superior professionalism and ethics in their practice. Certification is the highest level of evaluation by The Florida Bar, which now offers 24 specialty areas of certification including Adoption Law. “The certification of adoption lawyers allows the public to differentiate those lawyers who are proficient in the area of adoption law from those attorneys who do not understand the unique complexities of the adoption statute,” said Kelly. Board certified attorneys are the only Florida lawyers allowed to identify or advertise themselves as specialists or experts in their field. “Board certification by The Florida Bar demonstrates the lawyer’s high level of skill, excellence and a commitment to professionalism. Every new certification enhances our profession, and gives the public a meaningful way to evaluate lawyers,” stated Florida Bar President, Mayanne Downs. Adoption law is the practice of law dealing with the complexities and legalities of interstate and intrastate adoption placements, including civil controversies arising from termination of the biological parents’ parental rights, the Indian Child Welfare Act, and interstate placements. In addition to the actual adoption placement, “adoption law” includes evaluating, handling, and resolving such controversies prior to the placement of a child for adoption and all post placement proceedings. The practice of adoption law in the state of Florida is generally unique in that decisional, statutory, and procedural laws are specific to this state. 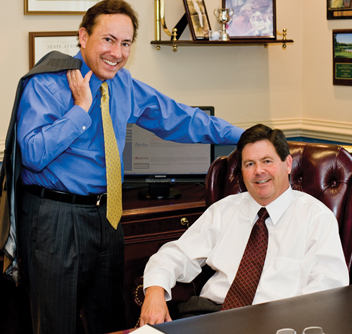 Michael Shorstein and Brian Kelly have been practicing in the area of adoption law since 1992 with over 1,500 finalized adoptions. Their main office is based in Jacksonville, FL with a satellite office in Daytona Beach, FL. The firm specializes in all aspects of domestic adoptions including interstate, identified and family adoptions. They are members of the Florida Adoption Council and Fellows of the American Academy of Adoption Attorneys, an association of attorneys, judges, and law professors in the U.S. and Canada, dedicated to the highest standards of practice in the field of adoption law. Membership is by invitation only from the Board of Trustees based on criteria for excellence in the practice of adoption. Shorstein and Kelly have both achieved the highest possible rating (“AV”) from Lexis/Nexis Martindale-Hubbell, a national independent service that rates lawyers throughout the country.